Mahmood Saeed Group’s industrial complex ... an MIM project. MIM of Saudi Arabia has made a name in steel construction by providing the market a diverse range of steel structures. Maaden International Industrial for Metal Company (MIM) of Saudi Arabia has carved a niche for itself in the design, manufacture, supply and installation of various kinds of steel structures ranging from factory buildings to shopping malls. The Jeddah-based company is close to completing work on Mahmood Saeed Group’s industrial complex being built on a 65,000-sq-m area in Jeddah’s third industrial city, having recently seen the completion of some structures for new cement production lines as part of Arabian Cement Company’s expansion in Rabigh, Saudi Arabia. It has also started work on a number of projects in Jizan for the Ministry of Interior, the Home Plaza Mall in Jeddah, in addition to commencing metal works at the Al Rayyan University in Madinah. 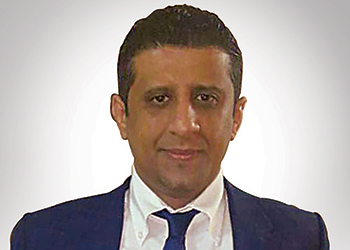 MIM’s sales volume increased by 133 per cent in 2015 compared to the previous year, according to Tawfeeq Obeed, general manager of the company. “We expect an increase of 35 per cent in sales based on Saudi Arabia’s Vision 2030,” he adds. To cope with the anticipated increase in demand for its services, the company has launched an installation department with an annual capacity of 20,000 tonnes. In addition, new production lines have been added for its pre-engineered steel buildings division, and for steel welding and bending machines. Obeed says there are plans to add further new production lines for sheets and rafters as well as coating machines. Commenting on the steel market, he says there has been a shift in demand towards prefabricated steel buildings to meet the growing requirements from the private sector and for industrial cities. “We anticipate a further increase in demand this year (2017) with a stable demand volume from the commercial sector. We expect the market for metal projects to improve,” Obeed adds. The company, which employs 250 employees, expects business volume to increase by SR150 million ($40 million) annually. “Our mission is to manufacture the highest quality of steel structures while also providing the highest level of performance through engineering excellence, competitive pricing, on-time delivery, exceptional service, specialised knowledge and high safety standards,” he remarks. MIM, which was established in 2011, has an annual capacity of 30,000 tonnes of high-quality steel buildings and steel structures. The company designs and manufactures structures in accordance with American standards. 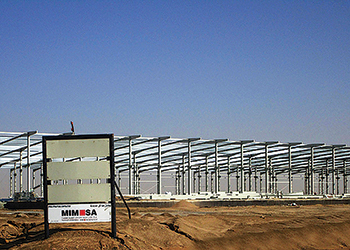 MIM’s state-of-the-art manufacturing facility, spread over an area of 40,000 sq m close to Makkah-Madinah Highway, is equipped with high-precision computerised numerical controlled (CNC machines) to fabricate and supply industrial steel, prefabricated steel buildings, tanks, towers, and metal bridges. Among the structures it can offer are structural steel for desalination and power plants, steel platforms, complex structures, warehouses, factory buildings, steel mills, textile plants, aircraft hangars, parks and sports centres, labour camps, showrooms, shopping malls and exhibitions halls.